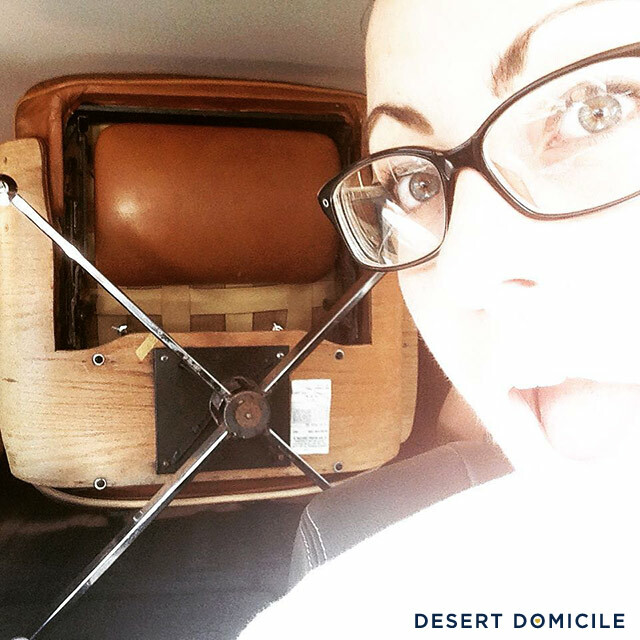 I was going to save this post for Thrift Score Thursday but I'm clearly way too excited about my recent find to wait until then! 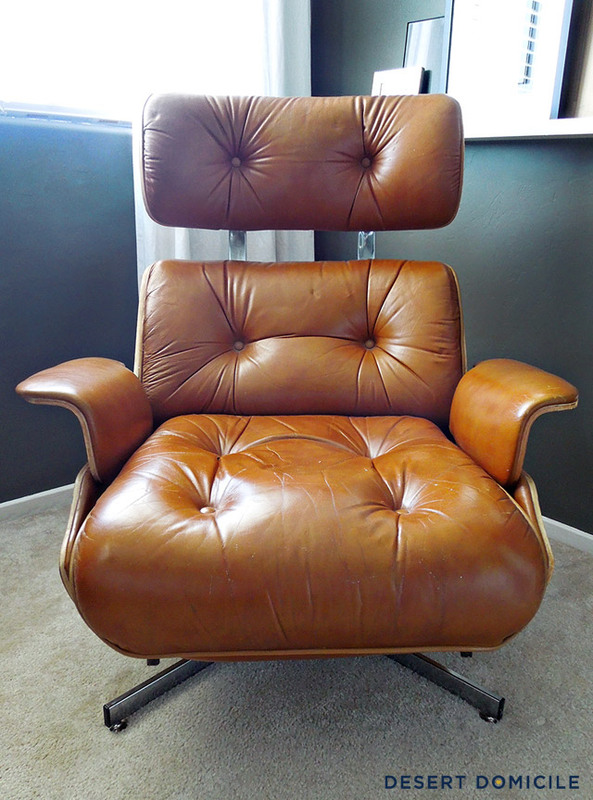 I was casually browsing Craigslist when I spotted an Eames-like lounge chair. 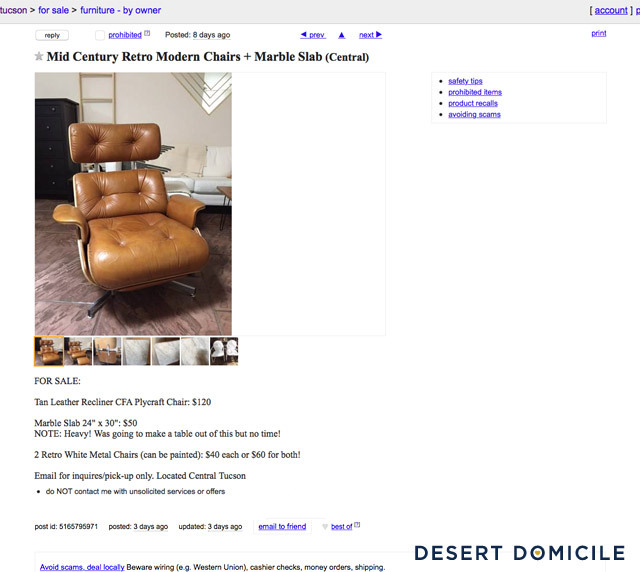 The listing was 2 days old when I saw it so I kind of figured that the chair wouldn’t be available (Mid Century stuff sells fast out here). I sent an e-mail anyway, crossed all the things, and hoped for the best. I didn’t hear back from the seller but I kept stalking the ad…because I’m insane determined. I noticed the ad was still being updated and renewed so I sent another e-mail. Silence. I e-mailed the seller 3 more times (each e-mail received no response) before enlisting my husband to e-mail them as well. Crickets. 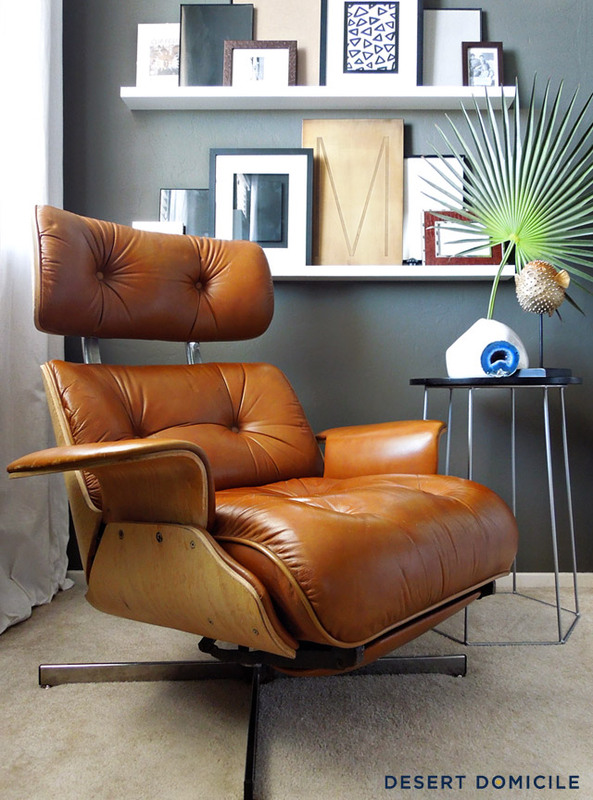 Before we go on, you should probably know that I’ve wanted an Eames chair for a long time but I'm well aware of the fact that there’s never going to be a time in my life when I can afford the real thing (I'm totally ok with that by the way!) so I’ve always kept an eye out for a nice knockoff which is why I was relentless in pursing this one. I figured my ad would be flagged and taken down before the seller ever saw it but I also figured I didn’t have anything to lose so I went ahead and posted it. And then I waited. As luck would have it, the seller e-mailed me 3 days after I posted the ad saying she was so thankful she saw it because all of the e-mails I (and other’s) had sent were going to spam. I couldn’t believe it! Sidenote: that table isn't staying there! I just needed something to fill the photo with so it wasn't so empty on the right side of the chair. On second thought, I may leave the back as-is since A) you can't really see it when you're looking at the chair from the front, B) I think the raw wood adds to the chair's vintage charm and C) I don't want to mess mess anything up if I try to refinish it myself! 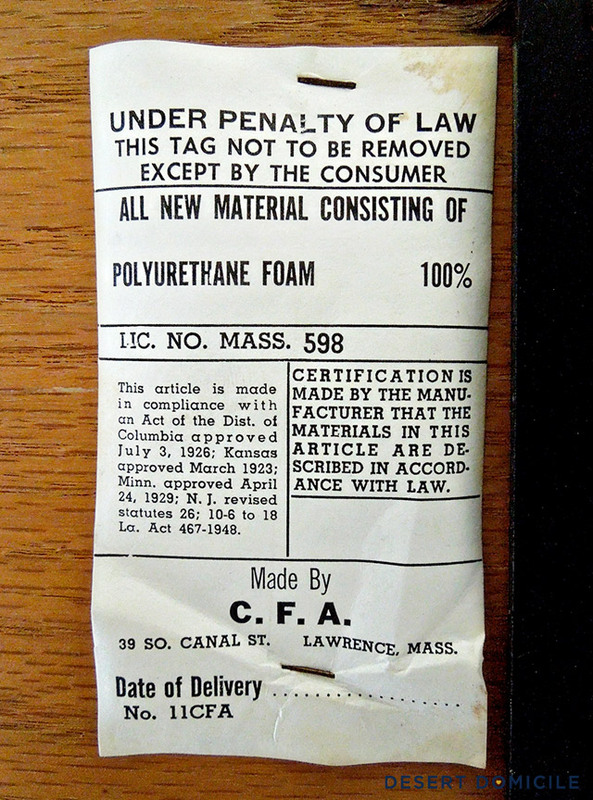 Speaking of the bottom of the seat, I found this maker's tag underneath the chair! What’s your craziest Craigslist story? Thanks Dana! I still feel like I'm dreaming haha I can't believe it! SUCH a steal and a great find! I would also be super interested in that marble slab, haha! 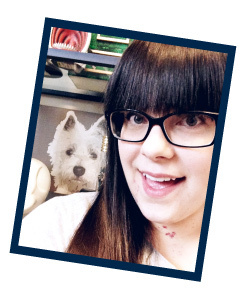 Such an awesome score, Caitlin! Way to go! I've been pretty half arsed in my search for one so it's good to see there's hope! 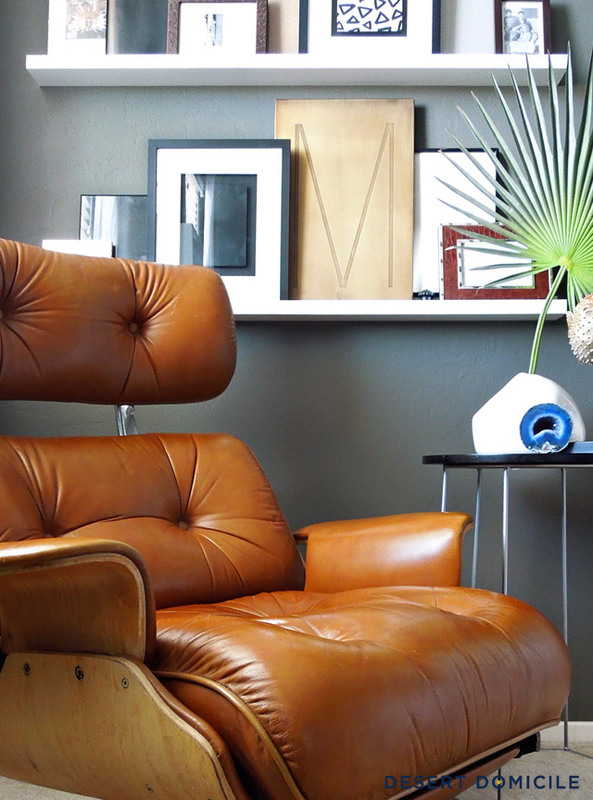 It's a beautiful chair and I love the leather's color. This is way cool! So glad you found it. My last job had a very mad men feel in the office (it was built in mid-century and while things had been updated, there were still some great remnants. There was a "library" that could be used for reading and hanging out during breaks and such and there was a lovely real Eames chair there. IT looked a lot like you and was the most comfortable thing I've ever sat in in my life. I spent many a break time hanging there with a book. And I just thought it was hilarious that someone so valuable was just being used like a normal office chair. I guess they used to have tons of them but only a few survived over time. It was kind of cool and while I typically don't lean midcentury, I would have taken that chair home in a nanosecond. It was incredibly comfy. nice find! Sometimes it pays to be a (polite and non-threatening) stalker! I'm so jealous that I could cry. Years ago, my neighbor had one on their front porch, I wanted to steal it because they obviously didn't appreciate it....and I would. I'm a good boy and didn't take it. And one day it was gone. I assumed some took it. The next day they put the matching ottoman out there. I could have screamed. you're insane for the multiple emails and the post hahahah but i love you for it!!!! And I may sleep in this next time I visit... kidding of course! Yes!! 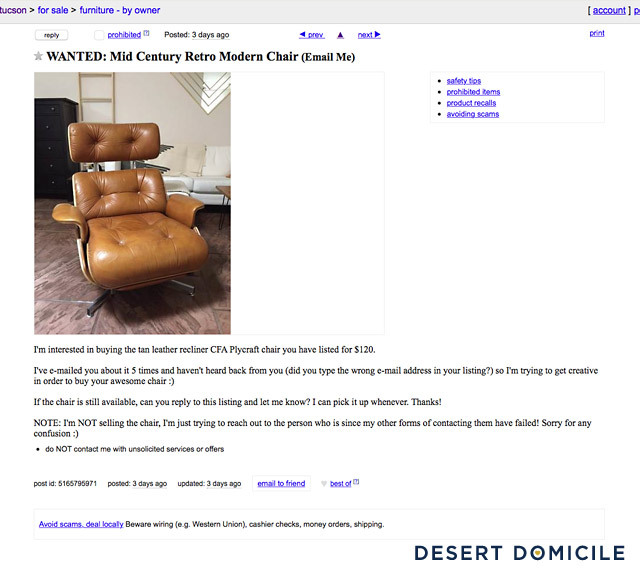 I've been crazy enough to post a similar ad when an item got poached from under me ("hey person who bought this, I'll give you more"), but my ad was unsuccessful. High five!! I also long for one of these chairs and unfortunately only find repros in terrible condition with over the moon asking prices. Awesome deal! That chair is so gorgeous! And what an amazing price, I'm so glad you were able to get it. I didn't realize some of them could recline like that, very cool. Thanks Tara! Isn't the reclining feature awesome? Takes up a lot less space than a chair + ottoman does but functions the same! I too have always dreamed of owning this chair! So happy you got it! And as far as the wood on back, I would try restore-a-finish and then feed-n-wax, it's so easy and all you do is wipe it on. you could do it in your house on your carpet even, just don't be sloppy:) it would really hydrate that wood and make it sing like the rest of the chair already is. I LOVE this! What a find! I really like the foot rest part too. Love the chair too! Where did you find the brass M plate on the shelf and what type of leaf/fern/palm is that? I've been searching for the perfect palm for a vase and can't find what I'm looking for but love what you have! GIRL. What. A. Find. Way to be persistent! I am not 100% sure, but my understanding is that Plycraft may have changed their name from CFA in the 50's. Hope that helps! Cant wait to see more! If you decide to go CRAZY and want to sell the chair, or if by some miracle you come across another one, please contact me. I have wanted one of these for sooo long. 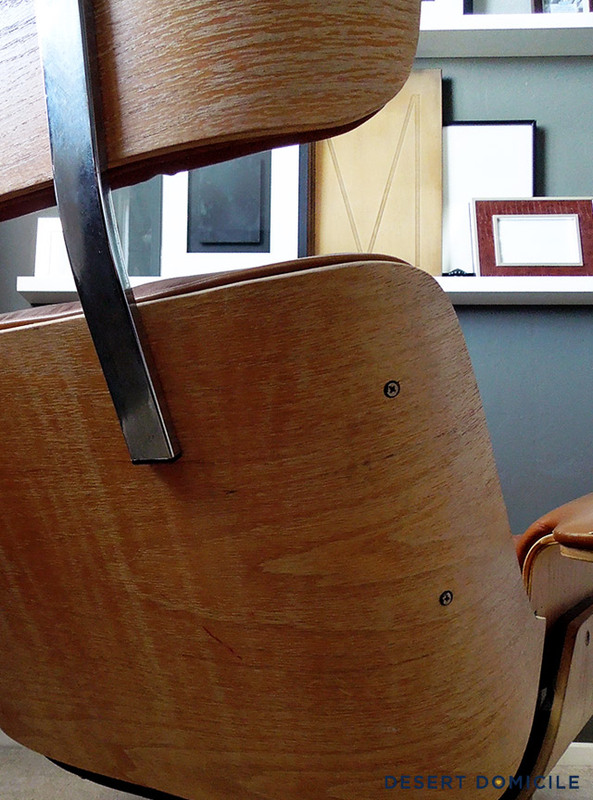 I have my Plycraft lounge chair which I love more than the Eames. This would be gold. Nice score!